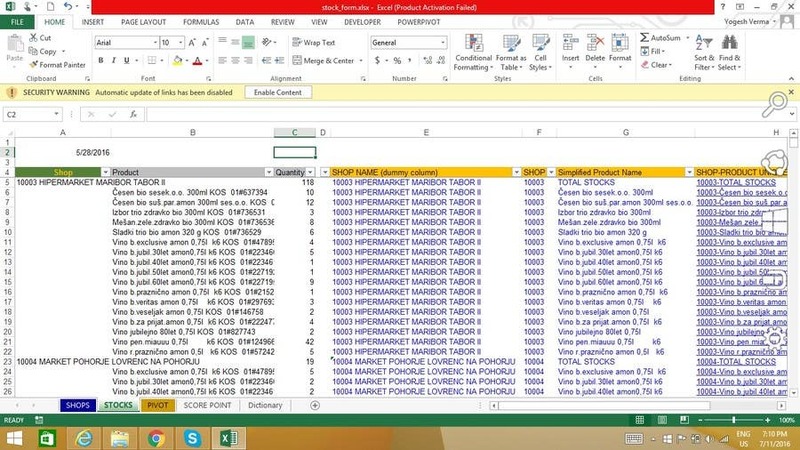 Data have been transferred to stock form as per your requirement in excel sheet. However, i couldn' t upload it here as the files supported are JPG, PNG, GIF. Have attached the screenshot of work performed. You may message me and ask for the excel file. Thank you!